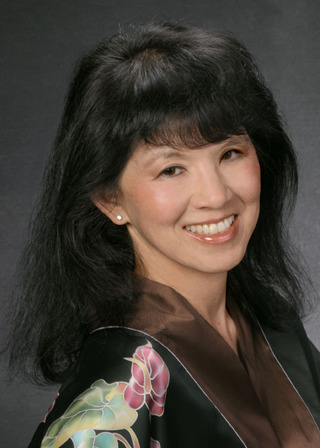 Pam Chun - Welcome to my website! Thank you for exploring these pages. 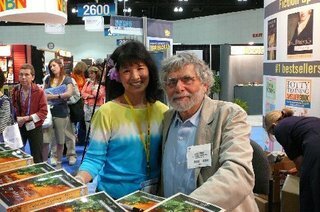 You'll find backstories to my books and historical photos of Hawaii and China. You may find a photo of yourself at one of the events, since I've been invited to speak at many conferences, universities, book clubs, and author events. Thanks for stopping by and enjoy! Robert Fortune detests the Celestial Kingdom and its people the minute he lands in China after the devastating Opium Wars in 1843. Under the guise of a plant hunter for the British Horticultural Society, his secret mission is to steal China's secrets of tea production, a brazen act of industrial espionage that will devastate China's 5,000-year-old civilization. 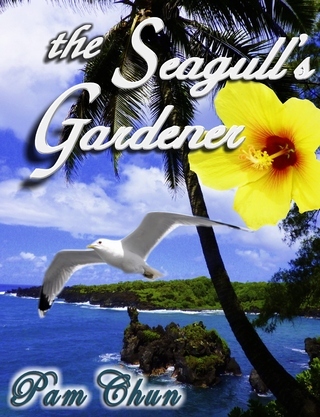 He audaciously ventures into prohibited lands to collect flowers, plants, seeds, and birds. Seduced by the Flowery Land, he pursues exquisitely beautiful Jadelin from the House of Poe, unaware she is trained as a warrior as is everyone in her family who attempts to sabotage his every move and destroy him. 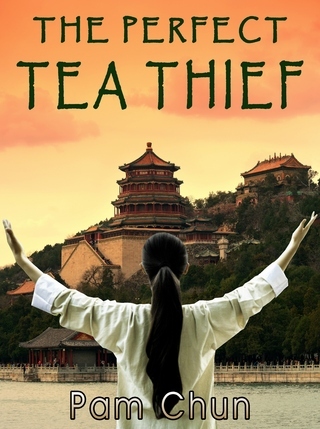 The Perfect Tea Thief is a tale of deceit and lies, in a country of tradition crumbling under the powers of industrialization in a clash of Empires. The last time I saw my father alive he asked me to write him ‘a good book.’ So frail then, he fixed me with eyes glossed with such sadness I was afraid to ask what he meant. Did he mean a book about his life? Or his obituary? Two weeks later he was gone. Throughout his six month slide from robust independence at home to his passing in a Kane`ohe hospice, he faced death by refusing to accept it. He did not go gently into the night as expected of a soft-spoken gentleman. His last two months he was fed through a tube in his side. On his worst days, he fought for air, even while on oxygen. Although he was over ninety-seven when he got his pacemaker, he fretted about outliving his batteries. He swam against the current, fought the outgoing tide, and struggled to dig his toes into the shore of life until his eyes closed for the last time. I was thousands of miles away in one of the oldest cities in China when my eldest brother left a message. Dad had died. He scheduled the funeral for next week, two days before I could return. My brother would not wait for me. 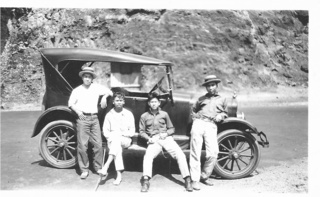 Enjoy this step back in time with photos of Old Hawaii and Woody's favorite recipes. THE MONEY DRAGON was #1 on Hawai’i’s Best Seller List in both its hardcover and paperback release. Pam received a Gubernatorial Commendation from the Governor of California for THE MONEY DRAGON. She has spoken at the Smithsonian in Washington DC, the National Archives and Records Administration Conference on Asian Americans and Pacific Islanders, The Chinese Historical Society of America, University of San Francisco Center for the Pacific Rim, The Hawai’i State Library and national organizations and bookstores in the San Francisco Bay Area, Seattle, Hawai’i, and Washington DC. 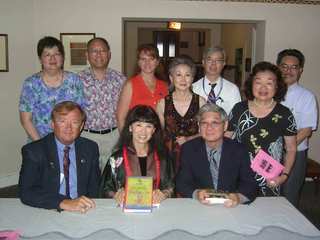 THE MONEY DRAGON was named one of 2002's Best Books of Hawaii. 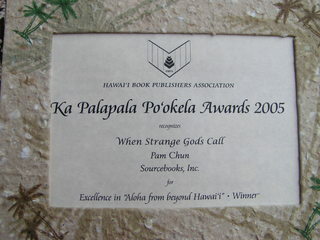 In 2003 it received a Ka Palapala Po`okela Award from the Hawaii Book Publisher’s Association for excellence in literature about Hawaii. 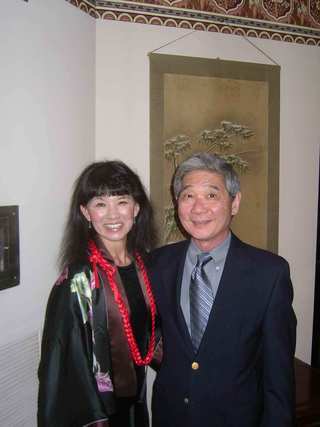 Pam Chun and THE MONEY DRAGON is featured in the documentary, HAWAII'S CHINATOWN which premiered on Hawaii PBS. In 1990, U.S. 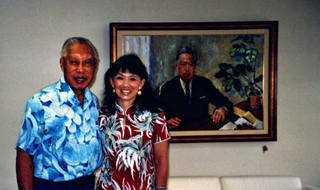 Senator Fong, Hawaii's fist U.S Senator, told me about my great-grandfather, Lau Ah Leong. In 1990, Senator Hiram Fong, Hawai‘i's first U. S. Senator, told me that he had known my great-grandfather, Lau Faat Leong. L. Ah Leong, as he was known then, had owned one of the largest retail/wholesale businesses in the Hawaiian Islands in the early 1900’s. I was mystified. I had never heard that name before. When I asked my elders who was this L. Ah Leong, they asked why I wanted to know. And anyway, there wasn’t anything good to say about him. Yet, at the corner of King and Kekaulike Streets, you will see “L. Ah Leong Block - 1909” in huge gold letters towering over the heart of Honolulu’s Chinatown. Despite his phenomenal success, L. Ah Leong is not mentioned in any book on Hawai‘i’s history, nor in any book about the Chinese in Hawai‘i. It took me ten years to discover he had built a successful business, was known to the Hawaiian monarchy, knew the American businessmen who became the powerful elite, and was able to use the laws to his advantage. Despite turbulent times, L. Ah Leong amassed a business empire in Hawai‘i and China, had five wives, estates in two countries, and dozens of children. THE MONEY DRAGON is a portrait of an Asian-American tycoon who had the power and influence to circumvent discriminatory U.S. laws and racial profiling. But the empowered women in his family complicate his plans. Like King Lear, Ah Leong makes a tragic decision that shatters his family. The book includes authentic historical documents and photos of Ah Leong and his family. Pam Chun received a Gubernatorial Commendation from the Governor of California on the day of THE MONEY DRAGON's release. The Commendation states "By sharing your talent and unique perspective, you have given greater insight into the cultural traditions of the Chinese-American community. Your dedication to artistic excellence has made a lasting impact on your community and on the literary field."